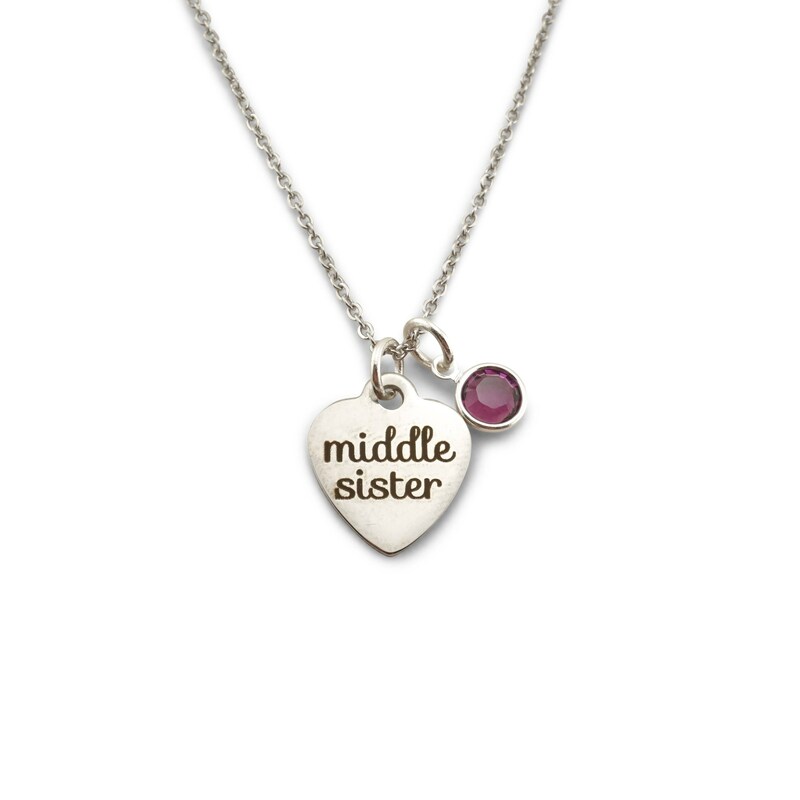 Show your love for your sisters! This listing is for ONE single necklace. If you would like to purchase a set of necklaces, you must order a set. 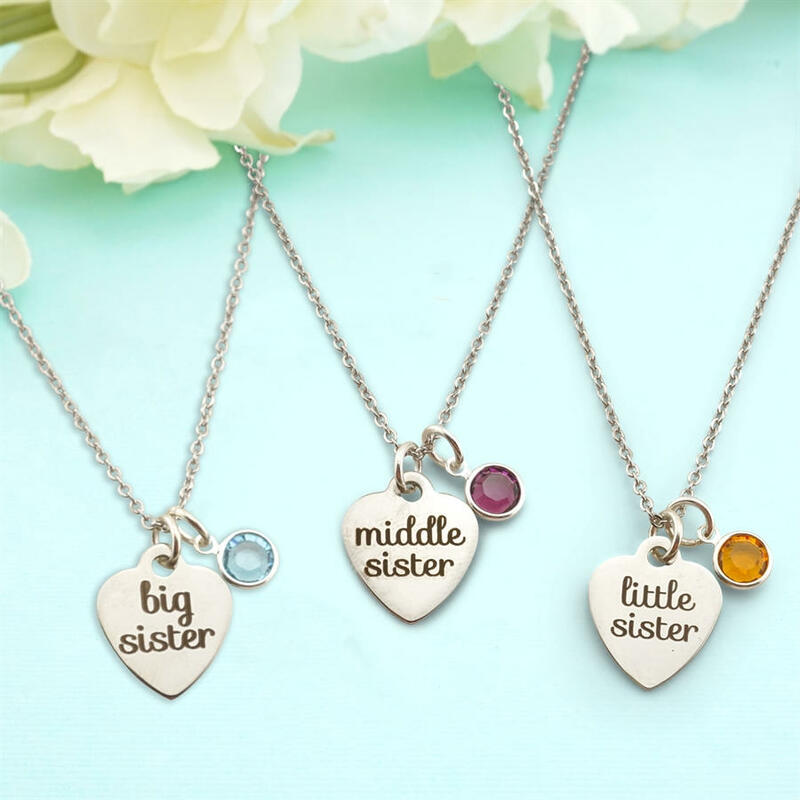 Choose from big sister, middle sister, or little sister, along with a genuine Swarovski birthstone crystal. 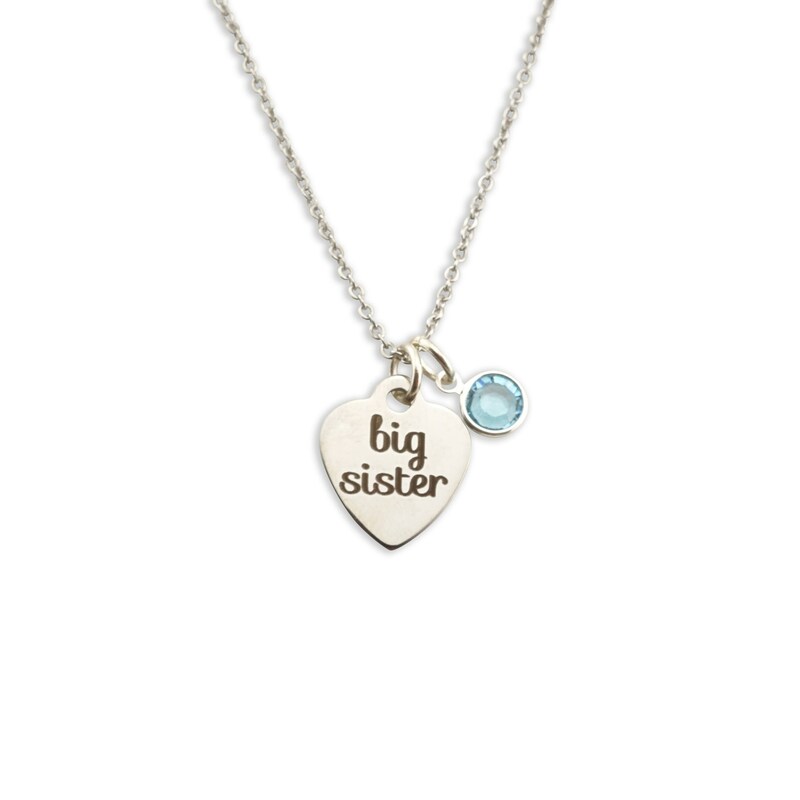 The necklace will come on an 18" chain with a lobster clasp closure! 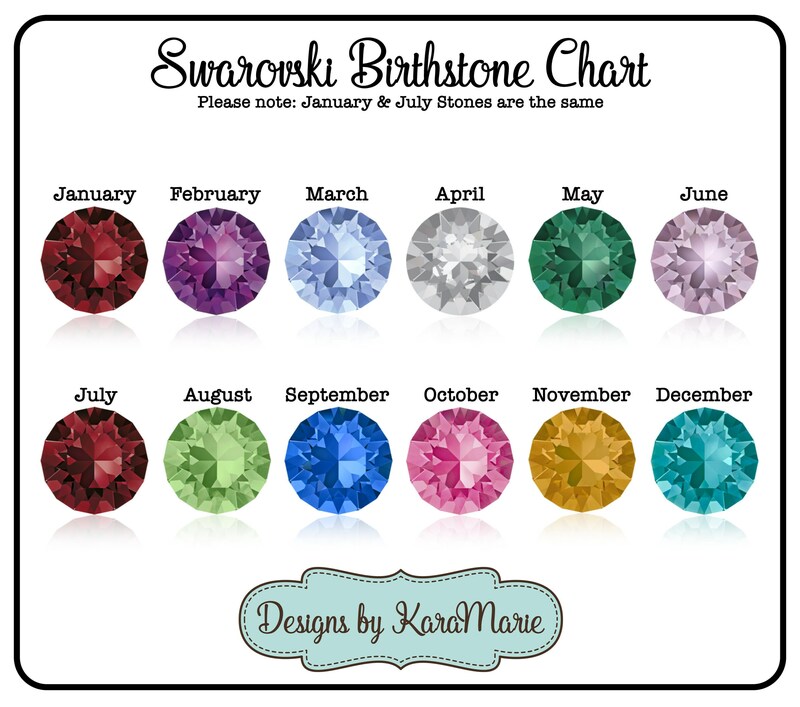 You can also choose a bangle or keychain option! I WILL NOT CHANGE SHIPPING ADDRESSES AFTER YOUR ORDER HAS BEEN PLACED. Current turn around time is between 5-7 business days. I try to ship orders TWICE a week, so sometimes orders are shipped within a day or two. 5-7 BUSINESS days means that after your order is placed, it may take 7-12 days (counting the weekend) before it will ship, and then you must allow for transit time. For those of you in a rush, I do have a RUSH MY ORDER upgrade, which gets you same day production (if ordered before noon central time) and a priority mail upgrade. International buyers: YOU WILL BE RESPONSIBLE FOR ANY VAT / IMPORT DUTIES/ CUSTOMS FEES, ETC.... ALSO, I am NOT RESPONSIBLE for packages once they have been turned over to USPS. I will not refund you because "you didn't receive your package". I AM NOT RESPONSIBLE FOR PACKAGES MARKED DELIVERED. I WILL NOT REFUND YOU BECAUSE IT IS MARKED DELIVERED BUT YET YOU SAY YOU DIDNT GET IT. I do not offer returns or exchanges on any items. Please be sure your ring size is correct before ordering, and that all of your spelling is correct before submitting. **I do not use messaging for order information. You must submit this information in the "optional notes to seller" area. Yes! I do take custom and personalized orders. Just send me a message and I will be glad to help! What metal are your pieces made out of? Please refer to each individual item for material content. In my shop, I use hypoallergenic aluminum, sterling silver, copper, 14k gold filled & 14k rose gold filled, as well as stainless steel. Some items are available for wholesale, with minimum order requirements. Please contact me for details. 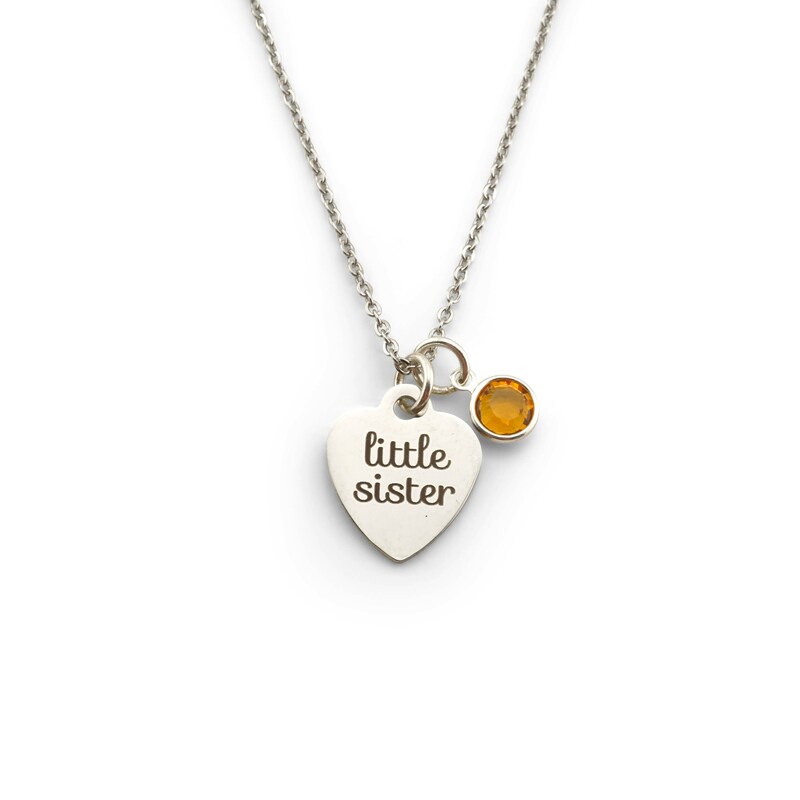 Your necklace will arrive on an elegant heavyweight business card protected inside of a small baggie. I do have a gift box option in my shop as well for those of you looking for them! Please review each listing for care instructions. That is correct. The backsides of the discs appear scratched, as handstamping is done 1 letter at a time with a steel stamp and hammer, on a steel block to get the impressions. There is no way to avoid the back marking, but the front looks gorgeous! Quite often, I receive emails asking for discount codes. Unless there is a sale going on (which sale prices will show), I do not offer additional discounts for retail customers. I price my items using a scale determining how much time and cost goes into each product, and make a fair retail price based on that. To ask for additional discounts, would be like your boss asking you to work for less for that day. I also do not offer free shipping, as USPS does not ship for free. Most sellers that do offer free shipping, build this price into their item. I would rather have transparent pricing, rather than hidden fees, etc... Thank you for understanding. Each and every piece is handmade, so there will be variations. Stamping will not always be 100% perfect, as this type of metal work is a form of art, done by hand, with custom-made steel stamps and a hammer. One. Letter. At. A. Time. I do not use any sort of computer program, or computerized laser machine to make your item. Each piece will be different and unique, which adds to the character of your personalized treasure.